HomeEditorialsMy son Eric Garner’s death was my political awakening. Don’t wait for a tragedy to have your own. 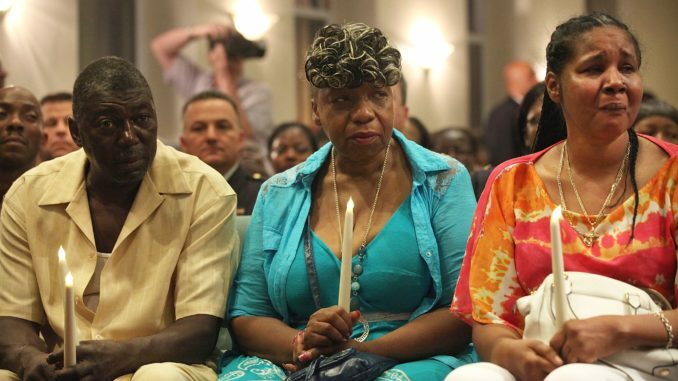 My son Eric Garner’s death was my political awakening. Don’t wait for a tragedy to have your own. 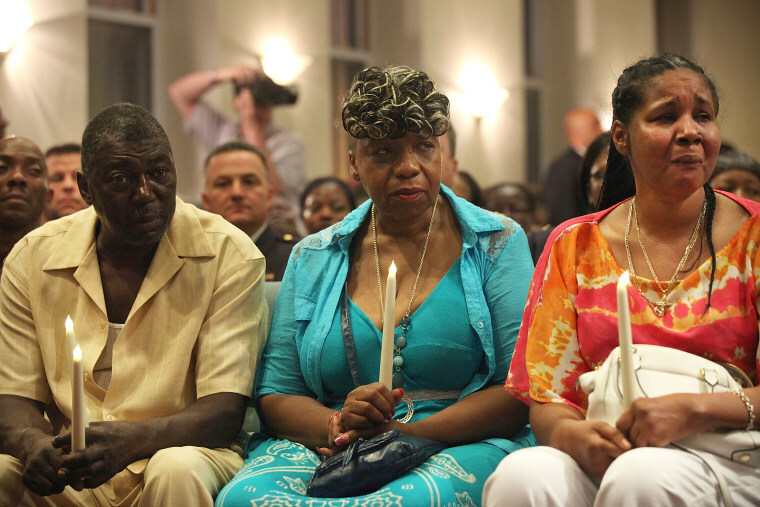 From left, Eric Garner’s stepfather, Benjamin Carr, mother Gwen Carr and his widow Esaw Garner attend an interfaith prayer service at Mount Sinai United Christian Church to mark the one-year anniversary of the death of Eric Garner in New York on July 14, 2015. Before my son, Eric Garner, was killed by the police, I would not have considered myself a politically active person. Out of a sense of obligation, I voted — but it was just something that I did robotically. Much of the time, I didn’t even know who the politicians were before I went to vote, or know anything about what they stood for. My parents, particularly my father, always made a point of knowing, though, and he would always voice his opinion about why we should or shouldn’t vote for a particular person. He would always emphasize to us that, no matter the age or the race of the candidate, we needed to vote for people who were going to do something for us as constituents. Everyone should know who we’re voting for; we should know what the candidates represent, and whether what politicians say that they want to accomplish would help us. The biggest lesson that people can take from what happened to my family is that we all need to be aware of what’s going on in the world, even if it feels fatiguing. Everyone should not just tune out all the tragedies of the world, especially when those tragedies get treated as “just another news story.” Anything can happen to you or your children out there; no one expects to be a news story. I understand where the people are coming from when they say it’s all too much, to keep up with the news, to figure out the politicians, to vote in every election. To the people who have the two jobs, the three children, I say, I’ve been there, and I’ve done that. But we still have to get out there, we have to do something. We have to take time for the things that may affect us. Everyone doesn’t have to do the same thing. But whatever you can do, can help. You could write a letter to your representatives. You might talk to your politicians. You can protest. Maybe you make a phone call. You can make your voice heard, and you can vote. Me, I don’t like to write. So instead, I go up to Albany, and I get in the faces of our politicians. I try to emphasize what I want from our government, and what I need elected officials to do. For instance, I went to Albany with a group of other New York mothers in 2015, and got Governor Cuomo to sign an executive order that allowed a special prosecutor from the state attorney general’s office to investigate all police killings of unarmed people for a year. (He’ssince extended it.) And what this does is that, when these senseless killings take place, the cases are taken it out of the hands of the local district attorney and put in the hands of the state attorney general. This is not fully a law yet — we’re still working to get the state legislature to pass it — but it is a Band-aid for the conflict of interest inherent in having the local district attorney in charge of prosecuting police officers who have killed unarmed civilians until we can get legislation passed. And, my activism has also given me a way to grieve Eric more openly, and to channel my anger about how he was killed into something productive. 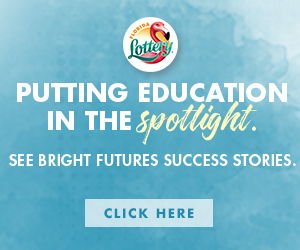 It’s taught me how to develop a vision of what I would like to see the future look like. And it’s given me the ability to educate people with what I’ve learned. We have to get out there — on the streets, in the voting booths, in our state capitals and in Washington — before some issue affects us. This is what I most want people to know: Don’t make an issue like police violence knock on your door before you go out there and try to do something about it. We want to prevent these senseless killings, not just go out there and march about it. My pain has purpose now. I’m not only fighting for my son; I’m fighting for others. It’s too late for Eric, but we have to fight for the other children, the grandchildren, the children who haven’t even been born yet. This world should be a safe place for all of us. What I do now as an activist — an unintended activist, as I call myself — is what I think I will be doing for the rest of my life. It’s the job that has to be done and there’s a lot of work to do. One or two people can’t do it by themselves; we need everyone to do their part.